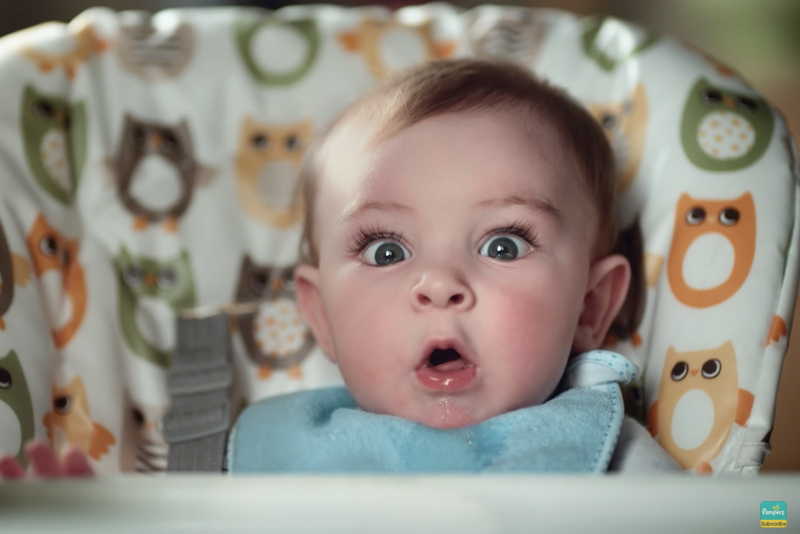 Pampers has launched “Don’t Fear The Mess”, an advertising campaign promoting the Pampers Wipes range of products. Central to the campaign is #PampersPooface, a commercial featuring ten babies filling their diapers to the sounds of Thus Spake Zarathustra (Space Odyssey 2001 theme) by Richard Strauss. Filmed in high definition and super slow motion (400fps), the commercial shows a big moment in the lives of ten young babies: doing a poo. From the initial build up, to the moment itself, right to those moments of ecstatic relief that follow, the film encapsulates all the weird, wonderful, adorable and funny poofaces babies pull when they’re doing their business. The film won three awards at Cannes International Festival of Creativity 2015: a bronze Film Lion, a silver Film Craft Lion for casting and a bronze Film Craft Lion for editing. The Pampers Don’t Fear The Mess! campaign was developed at Saatchi & Saatchi London by creative director Kate Stanners, creatives Ben Mills and Matt Butterfield, and producer Anne O’Neill. Filming for Pampers Pooface was shot by director Olly Blackburn via Great Guns with director of photography Nanu Segal, production designer Marie Lana, executive producers Sheridan Thomas and Laura Gregory, editors Andy Phillips and James Demetriou, and producer Tim Francis. Post production was done at Rushes by colourist Simone Grattarola. Audio post production was done at Grand Central by sound designer Munzie Thind. Music is “Thus Spake Zarathustra” (Theme from Space Odyssey 2001) by Richard Strauss.